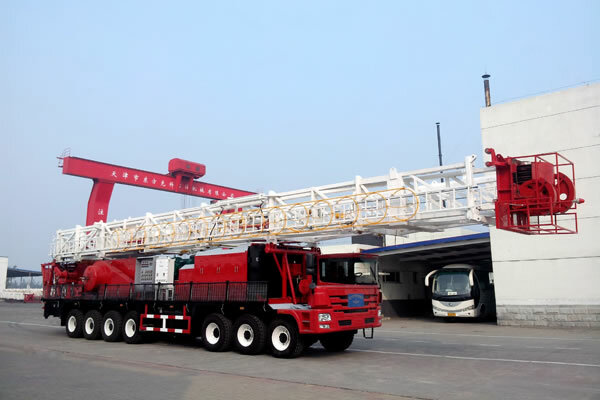 The XJ250 truck mounted workover unit adopts single drum draw-works, hydraulic telescopic double (or single) section mast, economical and practical Cummins engine, Winstar hydraulic transmission case. It has the advantages of simple structure, good transportation performance and easy for filed installation and maintenance, etc. 1. 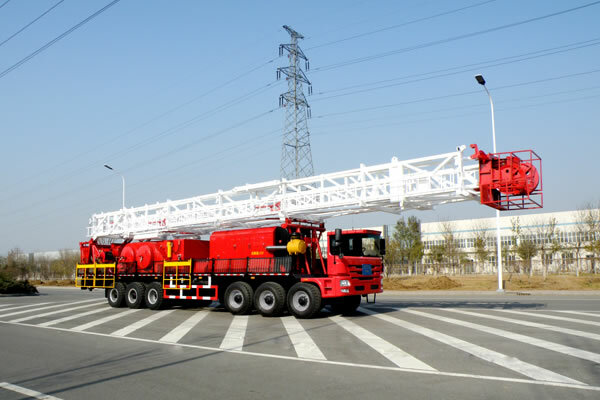 The mast is available in 25m double sections, 21m double sections or 17m single section. 2. 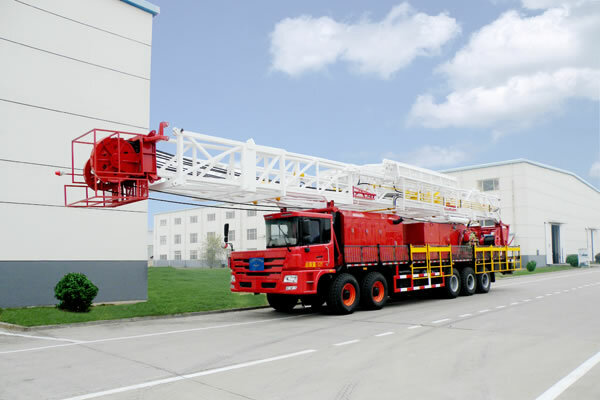 The chassis is 6×6 full-driven type, which features fast moving ability and good cross-country performance. 3. Equipped with single drum drawworks, sand drum is optional. Belt brake works without auxiliary brake. 4. 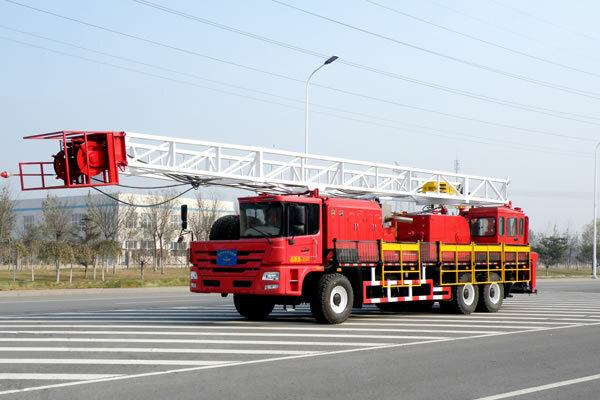 Substructure and simple working platform is optional. 5. Equipped with rotary table rotation system, which can do rotation operation.